Here, we present both parts one and two of an interview with Merve Arkun, Hüseyin & Özgür, members of Devrimci Anarşist Faaliyet, or DAF. DAF translates to Revolutionist Anarchist Action and is a network of overlapping collectives in Turkey. They are based out of Istanbul and run an office and two cafe’s, both called 26A, which is a meeting space and employer for collective members. This conversation was conducted on March 19, 2016, a few short hours after a DAESH (ISIS) bombing occurred in the Beyoğlu neighborhood of Istanbul, on the touristy street called İstiklal Avenue, just a few blocks from one of the collective’s cafe’s and their newspaper office. between security forces and civil society around the right to the contentious park, and against the war on the Kurds both in Syria and Turkey by Erdoğan’s government. Besides the 26A cafes, DAF includes an Anarchist Women’s collective, a publishing project in the form of the Meydan Gazette (published monthly in paper form), and a youth collective, the Lycee (or High School) Anarchist Federation called LAF. 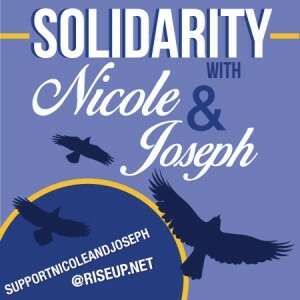 In addition it organizes arts events and projects, and participates in labor organizing and solidarity with Kurdish resistance and the Rojava Revolution. 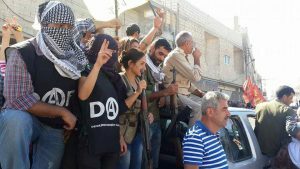 DAF also organizes in tandem though autonomously with anti-militarist and anti-conscription activists in Turkey. Merve is an active member of the Meydan Gazette publishing crew, the Anarchist Women’s collective and also in a seperate but related anti-militarist group. Hüseyin is a main editor of the Meydan Gazette and involved in the 26A cafes. Özgür is involved in Meydan & the self-defense program and the PATIKA ecological collective. Throughout this first hour: Merve, Hüseyin & Özgür talk about the collectivized economic and living structures of DAF and how that pans out to support collective members and build collectivized models for survival within and against capitalism. Also keep an eye peeled at http://seanswain.org/ for more updates about Kara and her situation. 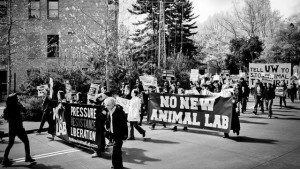 In December of 2012, Skanska USA was granted a contract from the University of Washington for the development and construction of the Animal Research & Care Facility, a secret underground lab intended to centralize animal research and vastly increase the number of animals that will be caged, abused, and killed. It was at this moment that Skanska chose to involve itself with the vivisection industry and to profit from the imprisonment and torture of endless generations of animals by literally burying them underground. They were eagerly prepared to make millions. What they were not prepared for was the animal liberation movement.